It’s already February and I’ve yet to do my sign up post for #AWW2017. That doesn’t mean I haven’t been busy. Apart from kicking off the AWW challenge, I’ve made time to read a few books and have written several (mostly short) reviews on Goodreads, where I’ve keeping track via our AWW Goodreads group. I’ve also read The Millwood Mystery by Jeannie Lockett, a classic published in serial form in Australian Town and Country Journal in 1886-1887. If you’re interested, you can find Chapter 1 here. I’ve tagged the other chapters and fixed up the digitised text so they can be downloaded, but I’m thinking of putting it all together in an ebook. (Would anyone be interested?) Reading The Millwood Mystery is my first contribution to our “classics” push on the AWW blog this year. Apart from doing AWW-related things, I’ve been helping my 93-year-old aunt with her memoirs. The ebook is almost finished and we’ll be organising a print run for the family. I’m also continuing to research our family history, with a view to maybe writing something inspired by it. We’ll see. Guess what I found on Goodreads? Guess what I found on Goodreads over the weekend? 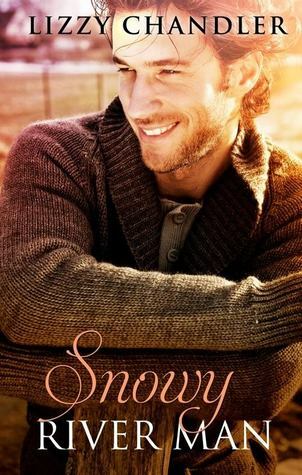 My cover for Snowy River Man. It won’t be available until February 22nd, but if you’re a member of Goodreads you can add it to your “Want to read” shelf. If you’re a book blogger and would like to request a review copy, please let me know. Meanwhile, if you want to check out what romance novels were reviewed for 2014 Australian Women Writers Challenge, you can read my wrap-up here.